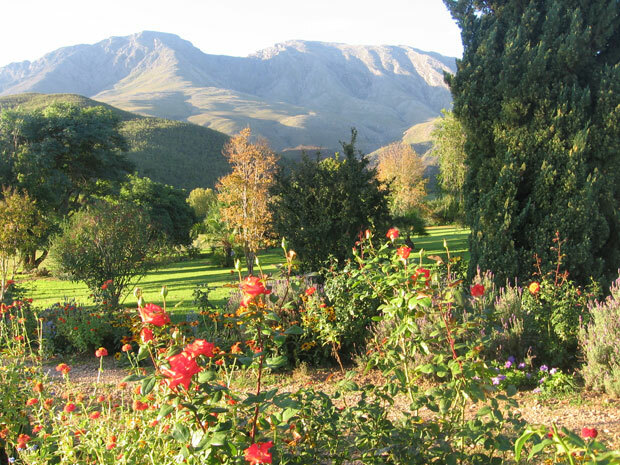 This picturesque farm is situated at the foot of the majestic Swartberg Mountains. 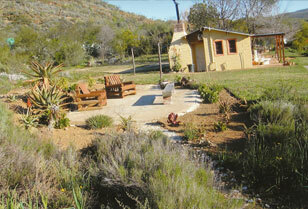 In this tranquil and safe unspoiled nature paradise you will experience old world hospitality. 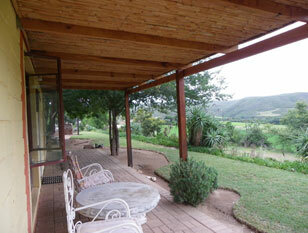 You can enjoy breakfast at the characteristic spacious Cape Dutch farm homestead. 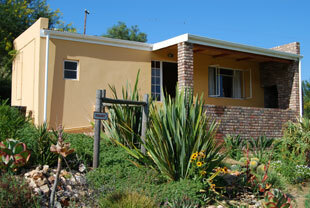 Various accommodation options are available in the other fully equipped self catering cottages, offering accommodation for 2, 3, 4, 6 and 9 persons respectively. 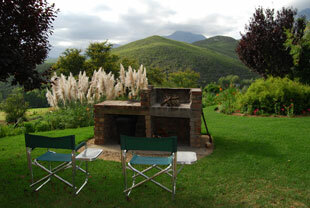 Each house is privately situated with its own interesting garden, braai lapas and views. 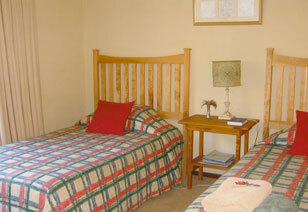 Meals and/or special dishes are available on order and the swimming pool at the Manor is also available to guests. 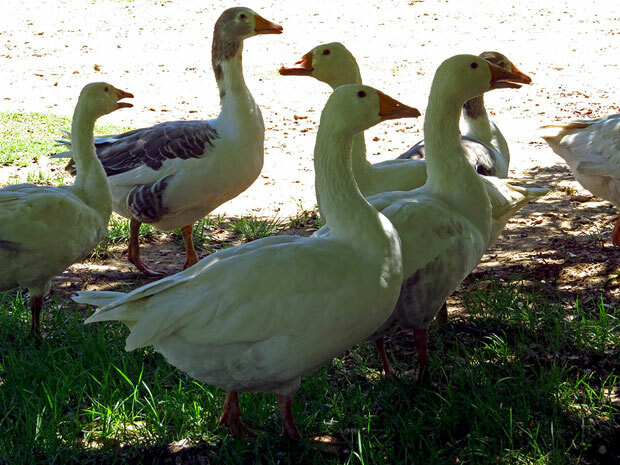 The children and parents enjoy riding their bicycles, play at the unpoluted stream nearby and feeding the animals. 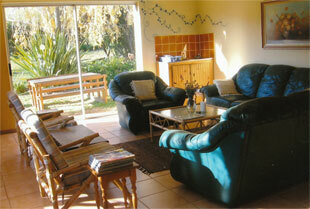 Bergsig is a very spacious luxury cottage. 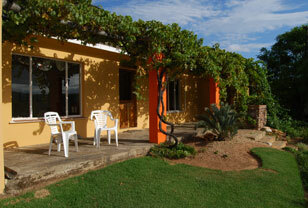 It is surrounded by a beautiful private garden with a very private lapa. 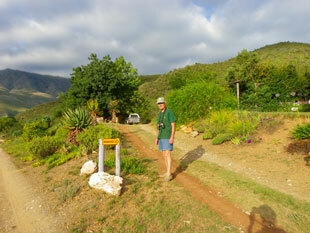 The view of the Swartberg Mountains from here is absolutely mindblowing. This house consists of three huge bedrooms including a majestic main bedroom, 2 living rooms and 2 bathrooms and shower outside under the willow tree. 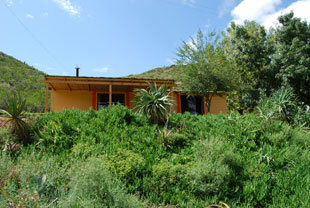 It is fully equipped and has a fireplace and electric blankets in the winter. 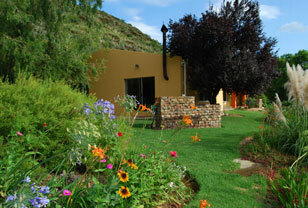 Kees en Kie, named after the fact that the baboons previously enjoyed visiting the house, is a comfortable three bedroom house with, if possible, the best view of all the cottages. 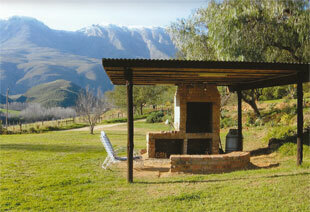 The lapa is situated in the veld - making a braai an absolutely unique experience. 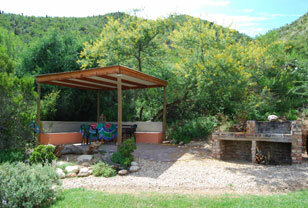 Here you have the advantage of showering under the Klein Karoo stars - this is very popular. The ideal family house! 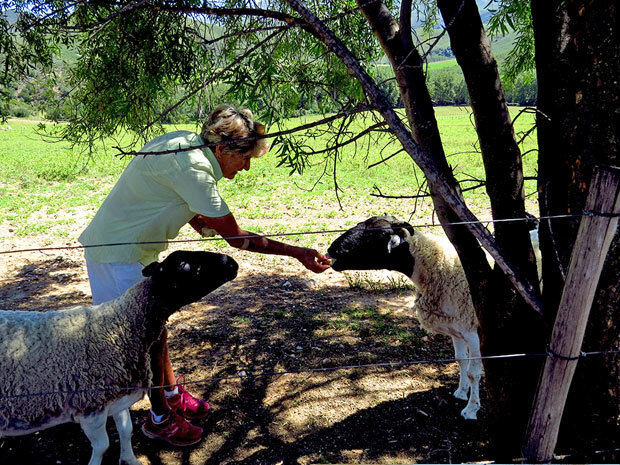 On the Oudemuragie Gravel Road you travel for nine kilometres where you will find a white double storied house on the left, opposite which you will find our sign - turn right into the farm road.